Beulah Oliphant, through her foresight and determination, led the effort to preserve the Old Barracks, which became a museum in 1902. This award is named in her honor, and is presented annually to women in recognition of their outstanding contributions to New Jersey history in historic preservation, education, or scholarship. The 2019 honoree is Linda Caldwell Epps, President and CEO of 1804 Consultants and former President and CEO of the New Jersey Historical Society. She has worked as a consultant for many historical sites and institutions, including The Smithsonian Museum of African American Life and Culture, The William Trent House, The New Jersey Historical Society, Scotch Plains Public Library, and Newark Public Library. 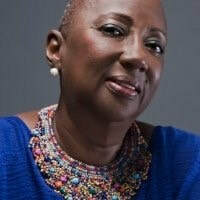 Linda Caldwell Epps has also led the charge at colleges and universities for diversity and equality in higher education and was a founding member of the Sankofa Collaborative which helps lead discussions in schools, museums, and libraries about African American History. She has also held the positions of Vice President of Student Affairs, Dean of Students, and Vice President for College Relations at Bloomfield College, as well as Vice President for Institutional Relations for New Jersey Network Television and Radio. Born in 1840, Beulah Ann Oliphant was the daughter of Joseph Oliphant, who operated the Oliphant Mill near Medford, New Jersey. She was a teenager when her father passed away, leaving an estate whose income was insufficient to support Beulah and her family. She defied social conventions governing women of her class, and despite fierce opposition from relatives, became a teacher. She was to follow this profession for twenty years. She later married General Samuel Duncan Oliphant, who shared the same last name but no close blood ties, and became mother to ten stepsons. When the south wing of the Old Barracks was advertised for sale by the Widows and Single Women’s Home Society in 1899, Mrs. Oliphant and other Trenton women worked for three years to raise the $6,317 to purchase the building. In 1902, the Old Barracks Association was incorporated and a museum established.